Tata Motors reported its biggest ever quarterly loss of Rs 26,993 crore compared with a profit of Rs 1,199 crore. Tata Motors shares fell as much as 29 per cent on Friday, a day after the carmaker reported its biggest quarterly loss. On the National Stock Exchange (NSE), Tata Motors shares plummeted to Rs 129 during Friday's session - lowest level in at least a year, as against their previous close of Rs 182.85. Tata Motors had post-market hours on Thursday reported a surprise net loss in the October-December quarter, on account an asset impairment charge of Rs 27,838 crore for its subsidiary Jaguar Land Rover. Weak Jaguar Land Rover sales in China owing to ongoing trade tensions between the US and China and de-stocking also impacted Tata Motors' profitability, the company said in Thursday's regulatory filing. 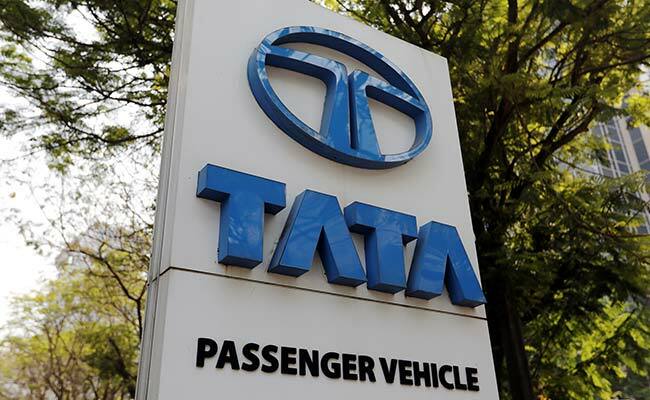 Tata Motors reported its biggest ever quarterly loss of Rs 26,993 crore compared with a profit of Rs 1,199 crore during the same quarter last year. Its revenue from operations rose 5.8 per cent to Rs 76,265 crore from Rs 72,084 crore in the corresponding period a year ago. "Jaguar Land Rover reported strong third quarter sales in the UK and North America, but our overall performance continued to be impacted by challenging market conditions in China. We continue to work closely with Chinese retailers to respond to current market conditions with a 'Pull' based approach to vehicle sales," said Ralf Speth, CEO of Jaguar Land Rover. "This is a difficult time for the industry, but we remain focused on ensuring sustainable and profitable growth and making targeted investments, that will secure our business in the future," he added. Meanwhile, Tata Motors lowered its profit margin guidance for the current fiscal year. The company expects the EBIT (earnings before interest and tax) margin for the fiscal year 2018-19 ending March 31 to be "marginally negative" compared with an earlier guidance of breaking even, chief financial officer PB Balaji told news agency Reuters. In afternoon trade, Tata Motors was the biggest percentage loser on benchmark indices Sensex and Nifty.